As you’re well aware, we are inside six months from the cut of all cuts, when the shears will come undone in San Diego on 3/16/19 for THE GREAT CUT. We’ve been diving DEEP on planning this little shindig, and from the depths of the central intelligence department we’ve come up with some questions we don’t know the answers to. So we’re asking you. Help us plan an extraordinary event by answering this quick survey. Are you thinking about attending The Great Cut? Help us plan by answering a few quick questions. What kid friendly activities would you like to see? as you want also collect money, you ought also open a online donating count for those who want help with money and don’t want cut their hair; wig providers need hair, and also money to pay the wigmaker !!! Oui, oui! The Central Intelligence Department is researching/developing the means to do this. “Pay The Wigmaker!” Sounds like a great meme! Maybe we could use this as the title for a donation button on the Great Cut. I really love Chamane’s idea. I’ve never been to Cali but I love donating to Children With Hair Loss so I booked my flight and hotel. It would be nice to have an event for travelers, maybe at the beach or somewhere that really showcases San Diego. Things I’d love to do: go to the beach, the zoo, eat amazing food, and learn about the environment (ocean, geology, etc.). Thank you so much for your input. It really helps with the planning. The worker bees are buzzing around The Longhairs Global Headquarters and hope to have registration operational this week. There will definitely be a listing of great things to do in San Diego on The Great Cut website and we’re working on bus service to and from The Event. I suspect another survey will be in order as people begin to register, perhaps organized trips to the zoo and beach or other outings would be possible. I would not be able to come but I can fundraise! I would love the crowdfunding platform! Would not be able to come due to the fact that I am 12 years old and my family would not buy plane tickets or a hotel. YOU ROCK! We definitely appreciate your help with fundraising. Are you a longhair brother? Where do you live? We will get you all set up for fundraising. Thanks for your comment. Thanks for your comment. It’s a great idea but this event is particularly oriented to break the Guinness World Record for most hair donated. Unfortunately, it must be done at one single location to count. Perhaps in the future there can be local events. I bet the Tech Department at The Longhairs HQ might be able to figure out how to live-stream The Great Cut. Stay tuned for more information. If nothing else, maybe a series of Instagram Live Feeds. Unfortunately i cant go. Long way away from Scotland! Im 14 and got school to go to. Would donate though if their was some sort of GoFundMe or something similar. Hope everything goes to plan lads! Hou’s it gaun? My motorcycle now lives in Scotland. I sold it to a man who lives in Livingston, West Lothian. If you see a sliver/gray Honda Goldwing cruising down the countryside, it might be my old bike. It has been there almost 5 years now. 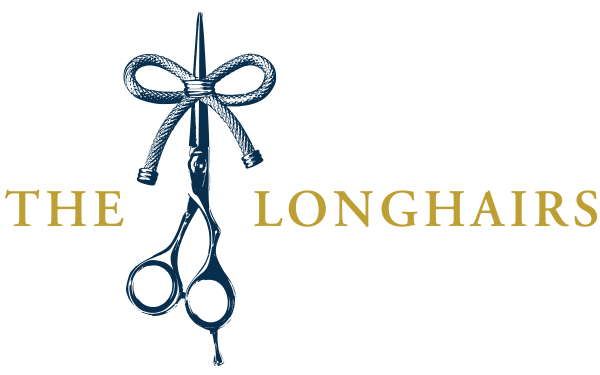 Keep checking back with thelonghairs.us and thegreatcut.us for updates. Meanwhile, have you posted any of your pictures on Instagram? #maneupdatemonday #hairwhipwednesday #thelonghairs #hairtiesforguys ? It would be nice to see your Scottish mane. I am mike_o_sacto on Instagram. Thanks for your comment. It’s wonderful to hear from folks around the globe! My 9 year old son is not willing to part with his hair but would love to help fundraise. We live on the East coast NYC area and he would LOVE to go to an east coast Longhairs event! He loves you guys, watches all your videos and can’t wait for his hair to get even longer! Thanks for your comment and thanks for supporting him. I was 17 before I had any say in how I wore my hair. Is his hair long enough for hair whips? I’m with him – my hair is just a bit past my shoulders now and I’m not willing to part with it either. I’m helping out in other ways. The ball is definitely rolling for The Longhairs and for longhairs. 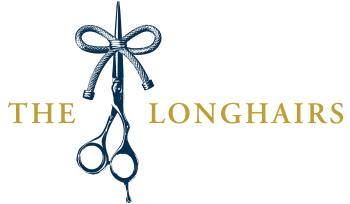 Keep checking with thelonghairs.us and thegreatcut.us. I’m hoping for at least some organized Meetups on that day where people might be able to watch a live-stream of The Great Cut. The website will be updated soon with options for fundraising. Oh Yes he has great hair for hair whipping. It’s past his sholders and he lets it flow every day!